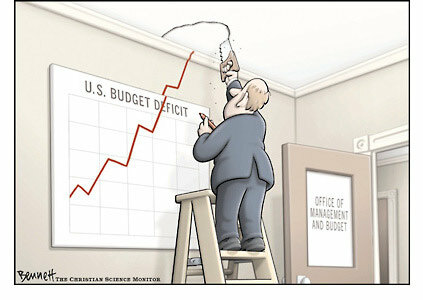 What happen to the deficit hawks republicans?!! The first of two official government reports that will be released this month showing that the federal budget deficit is soaring was issued on Monday when the Congressional Budget Office published it’s Monthly Budget Review for August.According to CBO, the deficit through the first 11 months of fiscal 2018 was $895 billion, a $222 billion (32.8%) increase over the same period in 2017. It would happen regardless. The only way for it not to happen would be for the government to operate at a surplus. 10 years ago, the government started refinancing existing 30 year bonds with ten year bonds to keep the debt lower. Now that interest rates are back up (no coincidence as to the timing), to switch back to 30 year bonds to refinance the 10 year bonds will require the debt to swell which will require the deficit to swell because we will now be switching back to higher interest rates on about a third of our national debt. It is being caused by the Republicans irresponsible tax cuts for the rich scheme, which is going to be a repeat of the disastrous trickle down tax cut scheme in Kansas. It boggles the mind that in a good and growing economy, one political party could massively run up the deficit to over a trillion dollars. On another tangent - I think we can finally bury the Republican myth (lie?) that tax cuts for the rich pay for themselves.